Ada pertanyaan untuk Le Boutique Hotel Moxa? 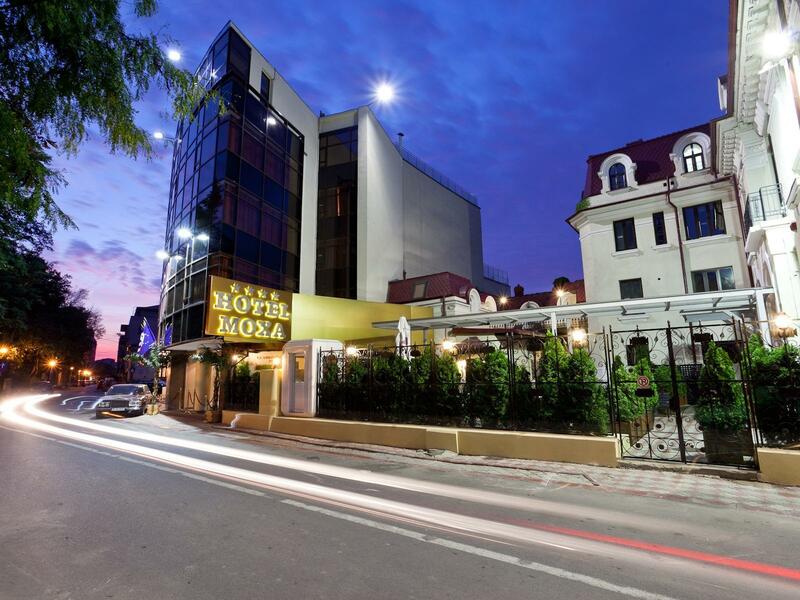 Le Boutique Hotel Moxa, terletak di Pusat Kota Bucharest Bukares adalah pilihan yang populer bagi para wisatawan. Terletak hanya 0.1 Km dari kehebohan pusat kota, hotel bintang 4 ini memiliki lokasi yang bagus dan menyediakan akses ke obyek wisata terbesar di kota ini. Para pengunjung ke hotel ini dapat menikmati berjalan-jalan di obyek wisata populer kota ini: Biserica Sfantul Nicolae Tabacu, RoColtours/CTI, Museum Koleksi Seni. Di Le Boutique Hotel Moxa, pelayanan istimewa dan fasilitas yang unggul akan membuat pengalaman menginap Anda tidak terlupakan. Ada beberapa fasilitas hotel ini seperti layanan kamar 24 jam, WiFi gratis di semua kamar, satpam 24 jam, toko serbaguna, layanan kebersihan harian. Hotel ini memiliki 52 kamar yang didesain dengan indah. Banyak kamar memiliki televisi layar datar, akses internet - WiFi, akses internet WiFi (gratis), kamar bebas asap rokok, AC. Hotel ini menyediakan sejumlah fasilitas rekreasi seperti pusat kebugaran, sauna, lapangan golf (sekitar 3 km), pijat, taman. Temukan paduan menarik dari pelayanan profesional dan sejumlah fasilitas di Le Boutique Hotel Moxa. Nice hotel with good location and very good breakfast. Better to book the room at the villa building as they are much nicer and larger and comfortable. The rooms in the main building are very small, basic and bit outdated. Also, they can be noisy as there is restaurant right underneath the rooms. Staff is very professional and efficient. 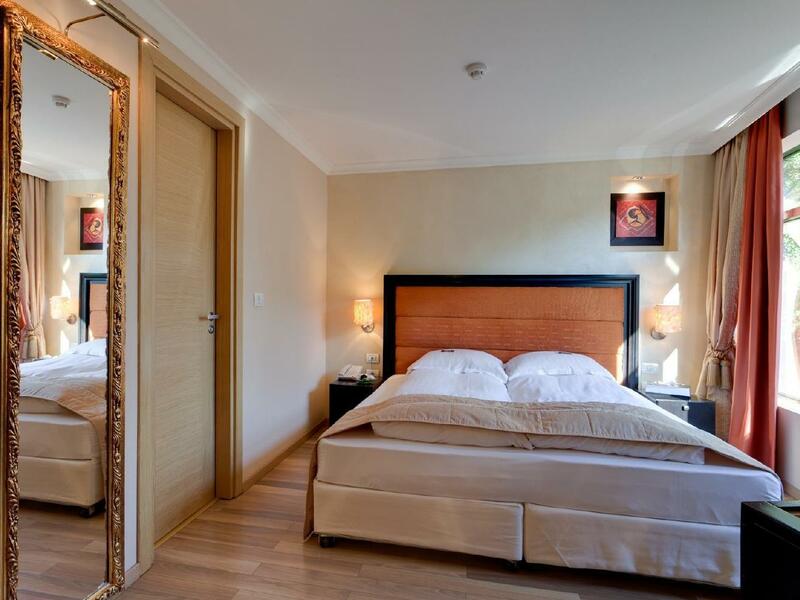 The hotel is about 10 minutes from the nearest metro or walking distance to the centre. It is next to the palace casino . I stayed three nights and got an upgraded room when check in. Comfortable bed and very clean room ( 810 ) there also provide a handy phone free to be used to call some countries , gps or googling anything you want to know. For me the phone is really useful. There was no electric keetle but then they send me one to the room as i requested. For me the hotel Worth the money. All pros really Only thing (which I know is absent in many hotels) is a kettle and tea/coffee making facilities I always anticipate this and take my own mini kettle etc!! Lovely hotel! 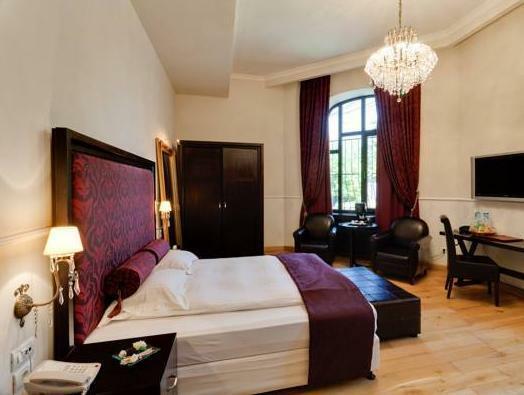 Excellent location, close to the center and old town. Next to a park, nice and quiet, with warm reception and services from a warm and efficient staff -- they really working as a team. Breakfast is very good. Talented Chef Costi will prepare excellent dishes from the menu and off the menu. An excellent boutique hotel indeed! friendly staff and excellent location, but given that the hotel has 4 stars, the room was a bit too small, the noise level if room situated above restaurant area can be high, the TV is ancient. We chose this as a cheap place to stay. It's more of a high end but the cheap rooms are on the 1st floor where it can be noisy. The staff were incredibly helpful. If you're used to staying in hotels you will be a little disappointed that there's no tea and coffee in your room possibly a way to try and get you to use the mini bar (exprensive). All in all clean and close to Strada Victorei. Location quite strategic, 20min walking distance to railway station, near to Calea Victoriei street but need about 35-40min walking distance to old town. Staff is superb nice and helpful. Room is nice too. Very, very small room, conditions maybe up to par with 3 stars, but great location and relatively cheap. The 4 star claims are laughable. I stayed one night and it was a good hotel to rest and start a sightseeing for me. I appreciated the free water-bottle and large bed to sleep at night. My stay was very good. eating a good breakfast in the week day mornings was one of the best times in this nicely located hotel. Rooms a bit small but good flat sceen and good chanel to look at if you ae very bored. All day entertainment if you are lonely. Museums are not far away at all. Walking distance to many. The Art gallery was one of my favorites. Will stay agin and again. Pleasant stay, room was a bit small but sufficient, food was good, staff were polite helpful and responsive. Good value for money for any business traveller. 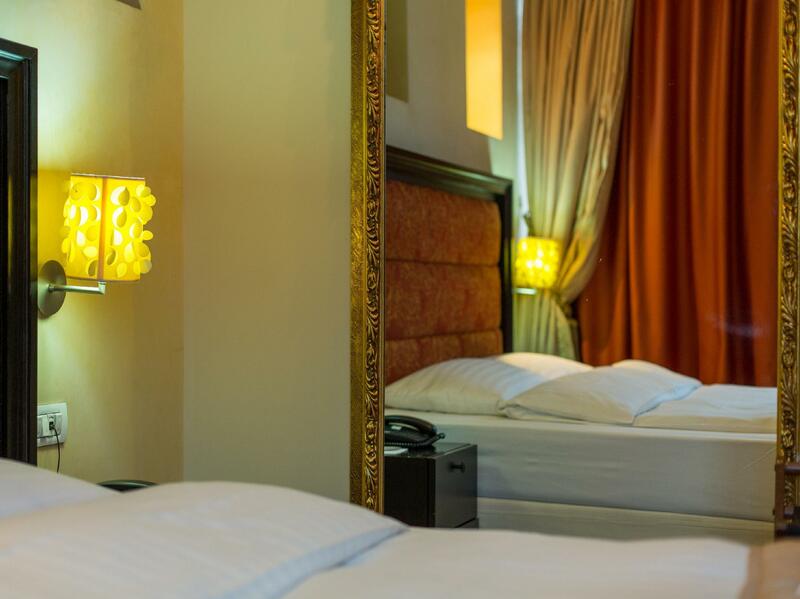 The hotel is nice, the rooms are small but clean and there is everything you need.The hotel is easy to find, 10 min by walk from metro station and airport bus stop (Piata Victoria). The breakfast is ok, the staff is usefull. Very confortable place, very well located. Breakfast is not that great. Fresh orange juice would be a plus. Excellent price for the quality offered. Very confortable with a very nice team.